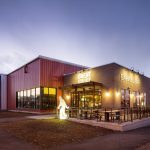 Coburn was chosen to design Great Divide’s new $38 million brewery on Brighton Boulevard in Denver’s River North (RiNo) neighborhood. 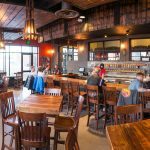 Conveniently located along the Platte River bike path, Great Divide Barrel Bar is a cozy 1,000 square foot bar that looks into the Barrel Cellar as you enjoy your beer. 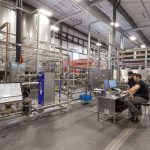 The new brewery design, which allows the craft brewers to produce as many as 250,000 barrels of beer a year, turned a redeveloped lot into a brewery and taproom to serve as a community gathering location and tourist destination. The entire 65,000 square foot facility includes a 230’ mezzanine bridge overlooking the packaging, process and warehouse for tours.